All rates are expressed in terms of Annual Percentage Yield (APY). APY is an annualized rate that reflects estimated dividend earnings based on the dividend rate and frequency of compounding. Fees may reduce earnings. Rates subject to change at any time without notice. To obtain additional information, contact our Member Services department at 614-416-7588. Click Here for Thrive by Five! Children learn about money from many sources. Long before they enter school, they observe adults using money and buying things. They watch television daily and see thousands of commercials each year. Like it or not, money is a part of your preschooler’s life. What children witness affects their attitudes about what money is for. Some of these beliefs will help them as adult consumers and some will not. For example, they might get the message that saving is important or they might not. As a parent, you will not be the only influence on what your child learns about using money. But when you teach basic lessons about money, you increase the chance that your child’s values will be similar to yours. Click Here for AJ's Mall! Young adults aged 13-17 who want to prepare for what lies head. At Pathways, we believe you’re never too young to start preparing for your financial future. That’s why we proudly offer offer an account designed just for our members 13-17. 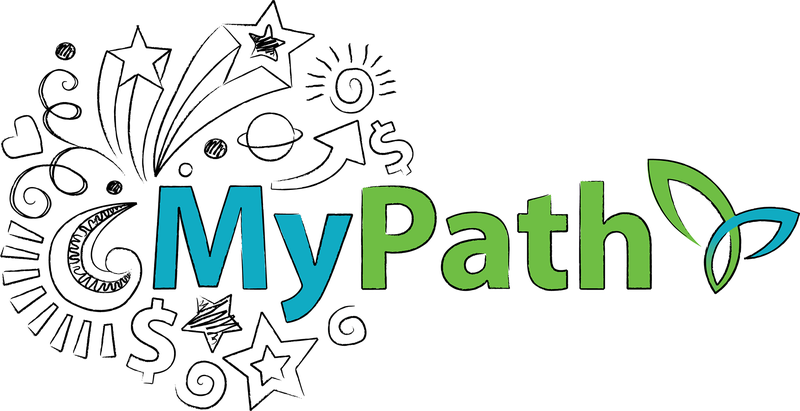 The MyPath Teen Account prepares you for what’s ahead on the financial horizon — balancing a checking account, buying that first car, making smart credit card decisions — while also offering special giveaways and drawings. All MyPath Teen Account members get exclusive access to our Guides to Independence online resource. Here you can learn smart money management tips, take online courses, read blogs, connect via social media and more. Registering for Guides to Independence is completely free and just takes a few seconds. Once you’re registered, check out “The Guides” section of the microsite. Here you can take a variety of brief courses covering different financial topics. Complete one course each quarter and we’ll enter you to win a $50 gift card! All MyPath members who have completed one course or more throughout the year will be entered to win our $100 cash giveaway at year-end. Free and unlimited usage of ATM cards at Pathways ATMs; surcharges may apply at non-Alliance One/Money Pass ATMs.